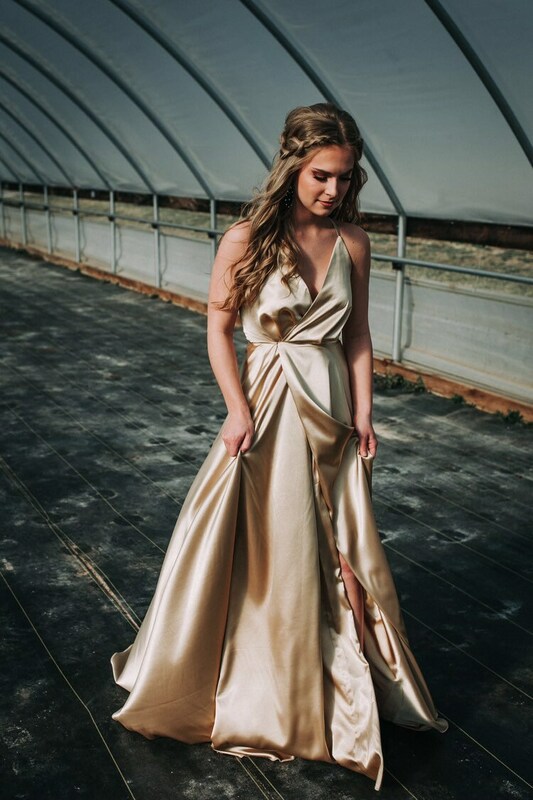 This Satin dress in its classic elegant style features a loosely pleated bodice, spaghetti straps, a dropped back and full skirt. 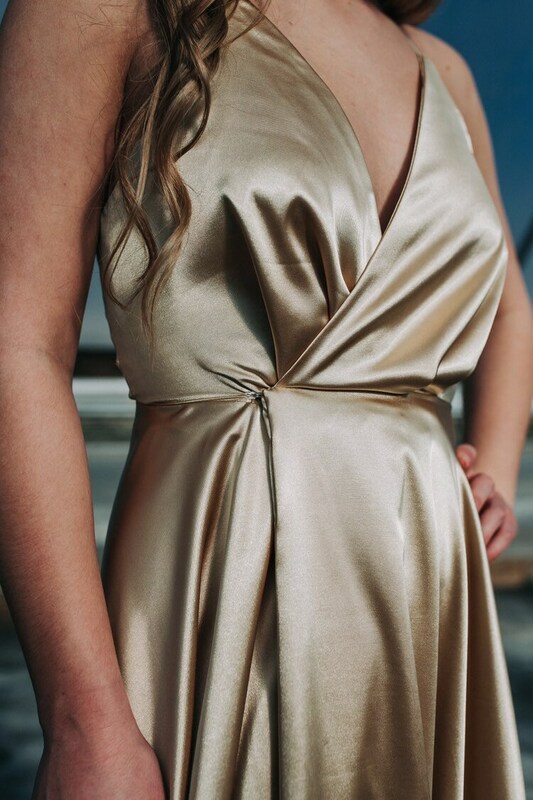 This wrap dress is true to form with a tie on the inside and a hook closure on the out. Its is made of the most luxurious stretch charmeuse and the fully lined skirt hangs beautifully and naturally off any form. 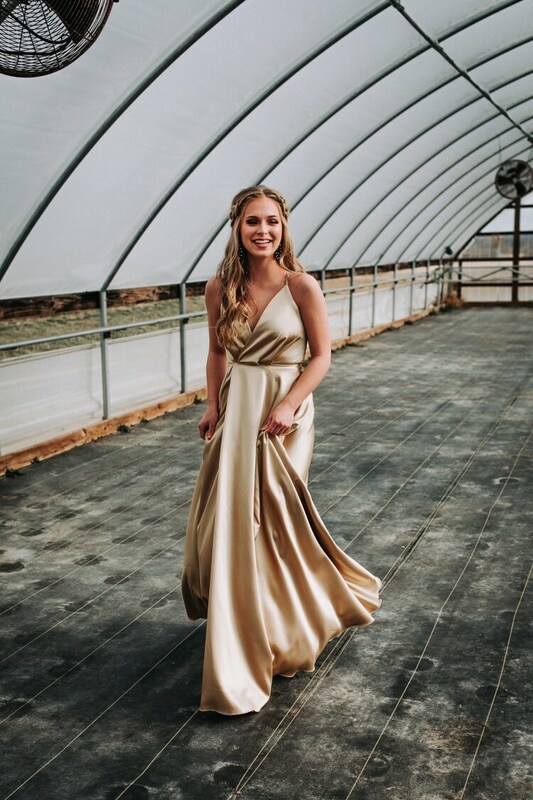 This designer quality dress is made to order to your measurements through the bust, waist, hips, and length and ships out in 3-4 weeks. I have a sample ready to ship within a week! Rush Orders are available, but are subject to discretion, especially during the busy season. For best results please send measurements that follow my requirements exactly and should be given at the time of purchase in the Notes section. I am not responsible for errors made while measuring.